In my mind I'm climbing a winding stair. The steps are cold and worn, and the only light comes in through narrow windows. I'm touching the curved wall with one hand, and with the other I'm hanging on to Marion's skirt. She is formidable and elderly, square and calm in her tweed coats and skirts, neat shirt-blouses and sensible shoes. Looking back now, I remember that day in Enniscorthy Castle. I was about nine years old. I remember her black leather handbag which always contained a white cotton handkerchief, and the fearsome bottle of Mercurochrome she used as an antiseptic to treat childhood cuts. I never knew that in her teens she was a revolutionary, trained in arms and ready to fight and die for Ireland's independence in the Easter Rising of 1916. A year after I finished university I left my home city of Dublin for London. My mother often came to visit me there and once, on a walk by the River Thames, she mentioned that though Marion had grown up in Enniscorthy and died there, she had spent time nursing in England. I remember asking why she had left Ireland and my mother shaking her head and saying that she didn't know. Marion, she said, 'didn't like to talk about the past'. I could well believe it. The Marion I knew in my childhood wasn't someone who would let her hair down, put her feet up, and engage in girly chats. She carried an air of authority and you didn't wriggle when she reached for the Mercurochrome. 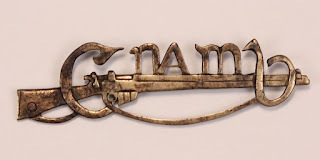 It was not as if I was unaware that she had been a member of Cumann na mBan. But along with that information, absorbed in my childhood, came an unspoken sense that questions about it wouldn't be welcomed. And so, although Marion lived to be eighty seven and died in 1983, when I could have had an adult relationship with her, I never heard her story. 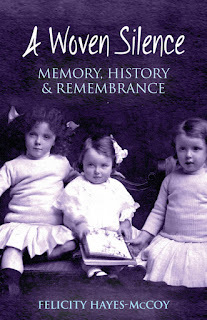 Like so many Irishwomen of her generation, she remained silent about her experience during the Rising and afterwards. 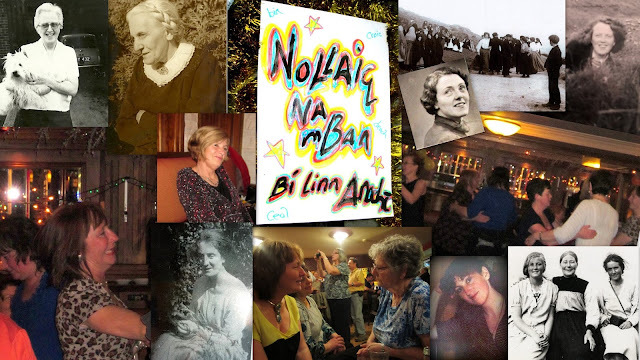 And, like so many Irishwomen of my mother's generation and my own, I grew up with a cultural, social and political inheritance which, in the hundred years since the the Rising, has fostered misogyny, lack of communication and a lack of powerful female role models, both in Irish politics and society. Last November I visited Enniscorthy Castle again, to take part in an RTÉ television documentary which begins Ireland's national broadcaster's 1916 Centenary programming. I was speaking about my recent book A Woven Silence: Memory, History & Remembrance, which maps my own family's stories onto the story of the founding and development of the Irish State. In an early draft of the book its working title was 'The Absence of Memory' and, among other themes, it explores that silence with which I grew up. The documentary, the first of a series of four called Ireland's Rising is a powerful piece of television and, as its trailer (link below) shows, it celebrates the beginning of a new era of awareness, discussion, debate and exploration of Ireland's national identity and values. I hope that the emphasis that Marion Stokes and her comrades placed on equality as the basis for a healthy society will form a central aspect of that debate. And I'm heartened by the fact that the children in this programme seem to believe that it should. Buy your copy of A Woven Silence here. Felicity, it's very touching reading about Marion and her courage in defending the women's rights ..thanks for this beautiful page of history..